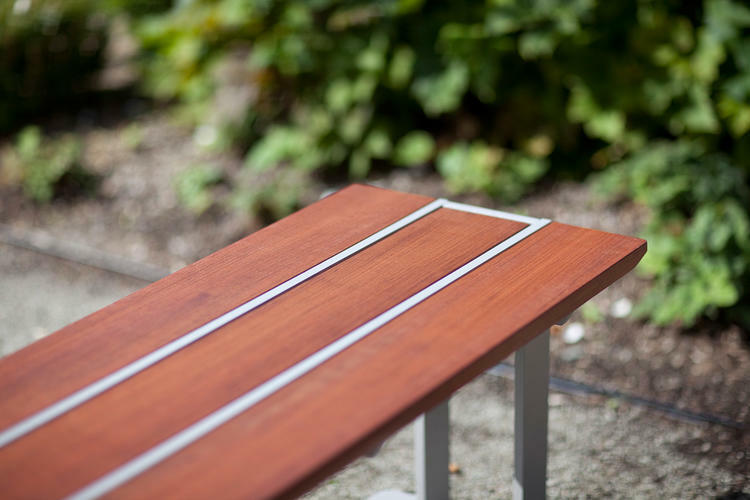 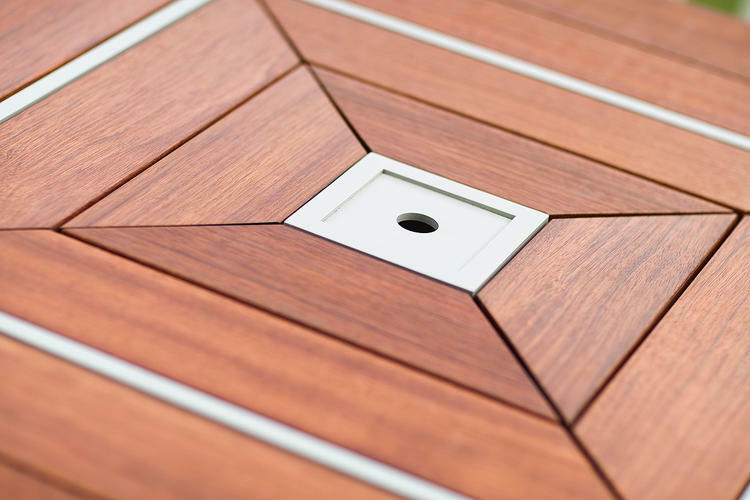 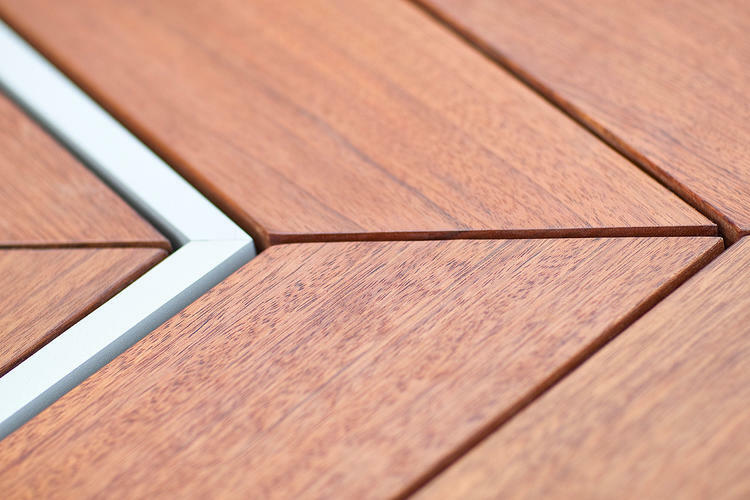 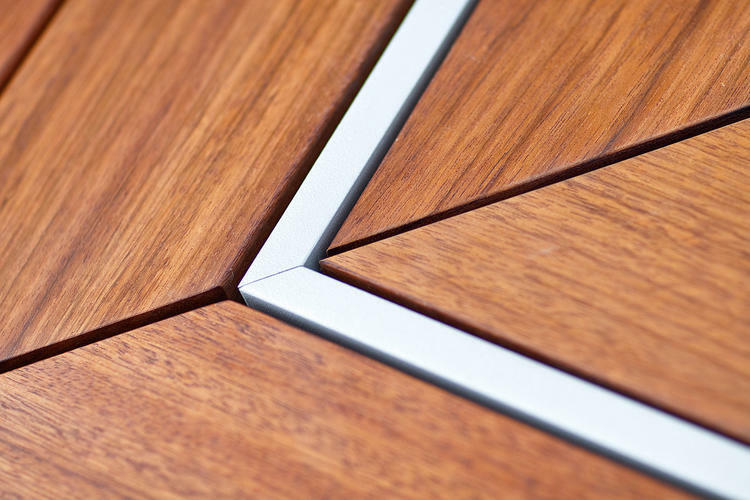 The crisp geometry of the Apex family is shaped by aluminum and FSC®-certified hardwoods. 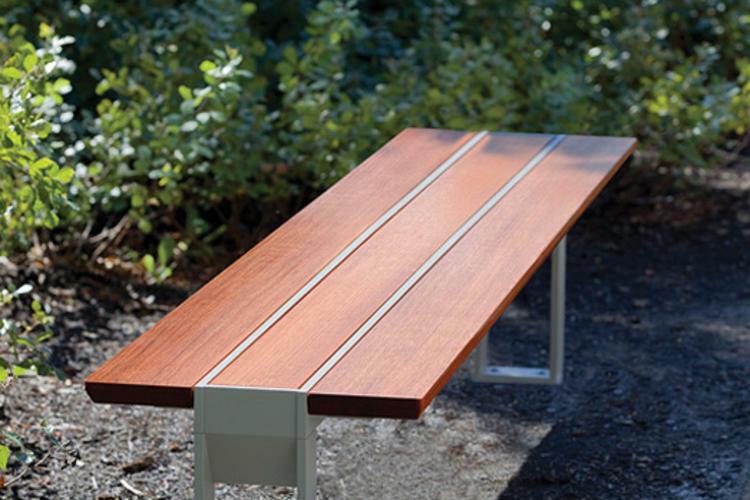 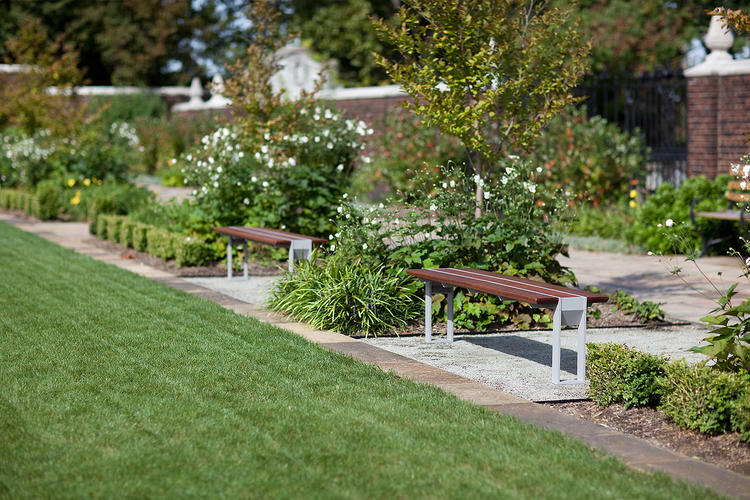 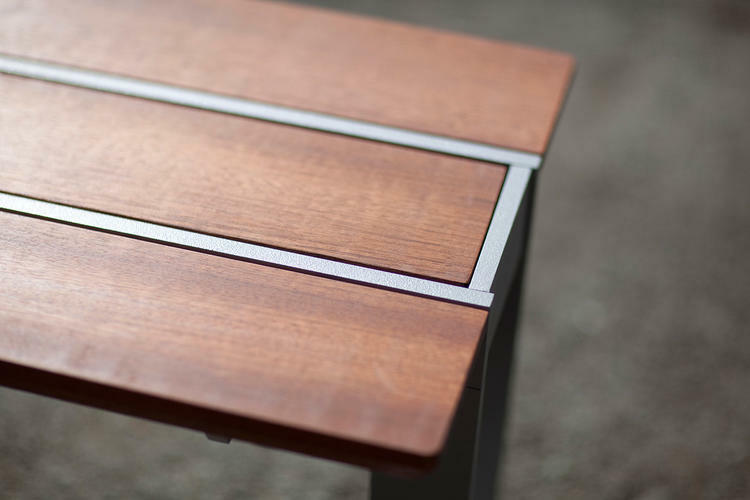 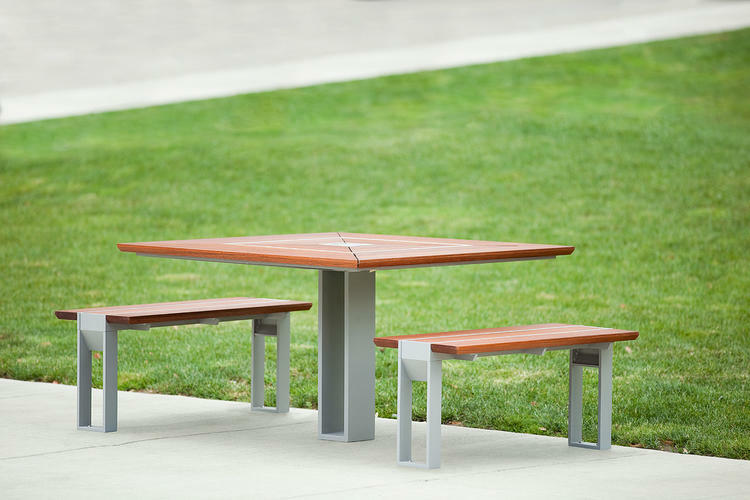 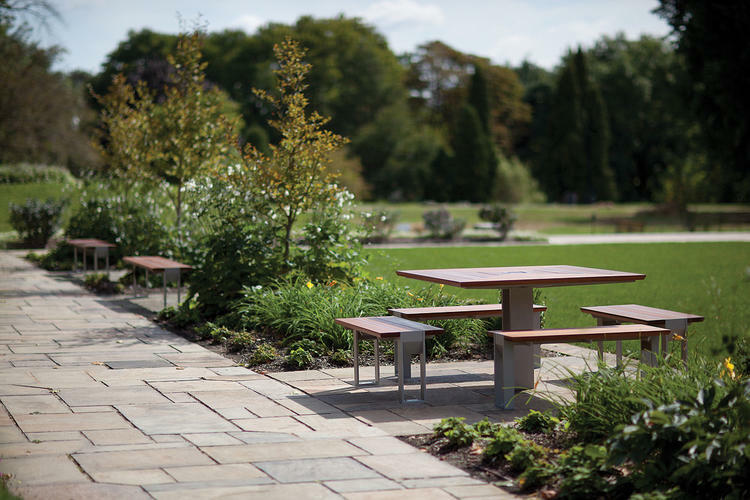 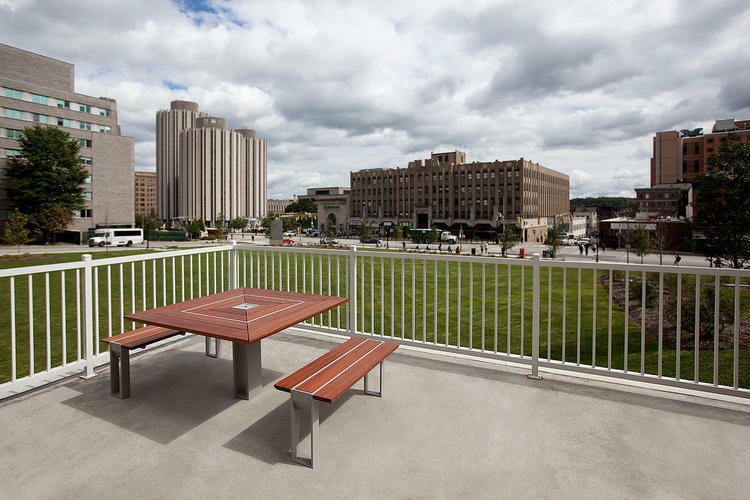 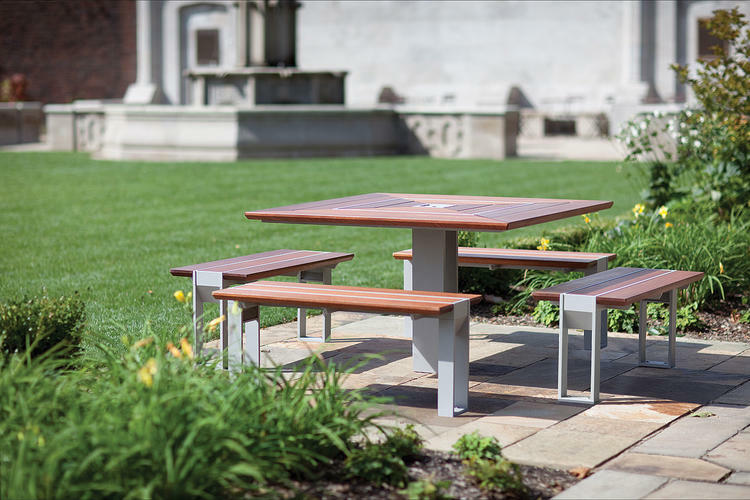 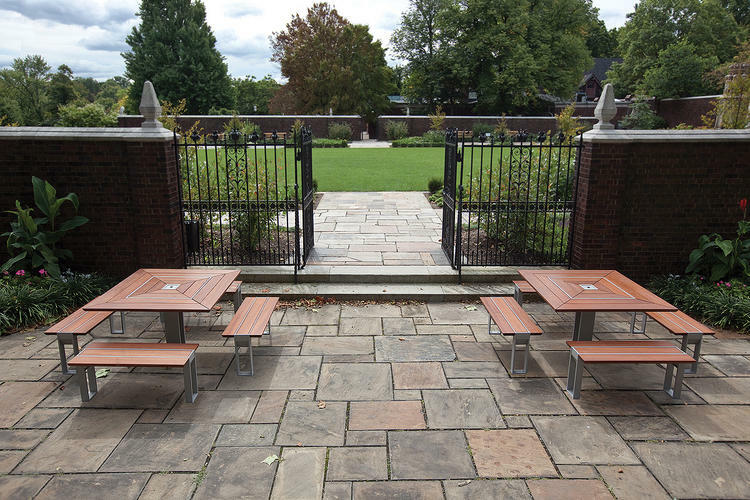 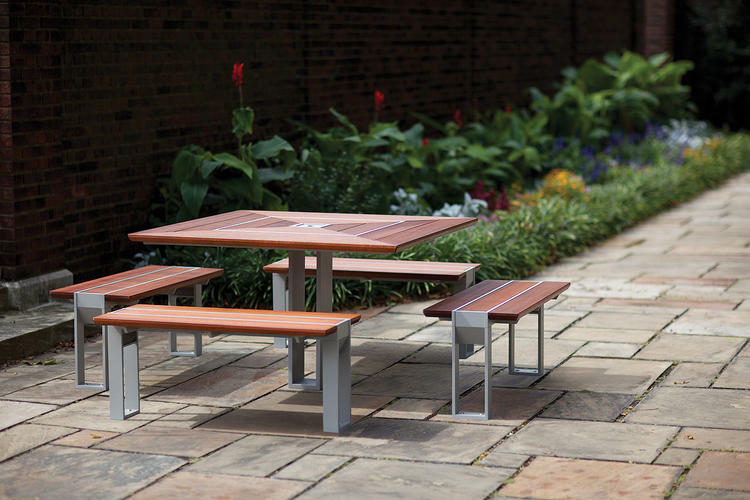 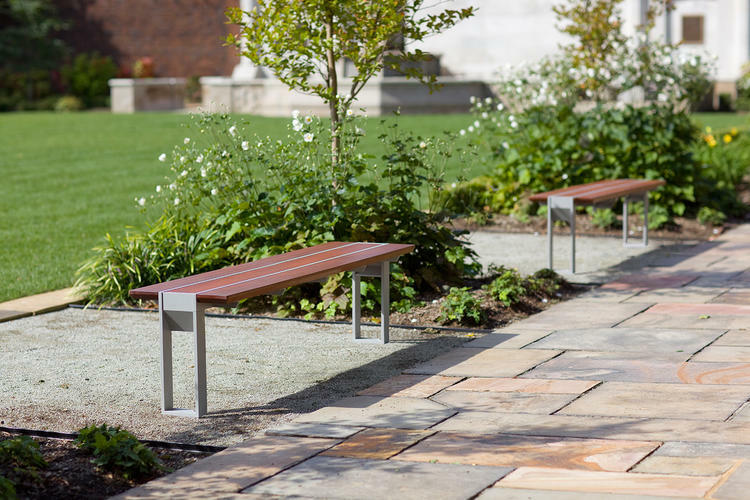 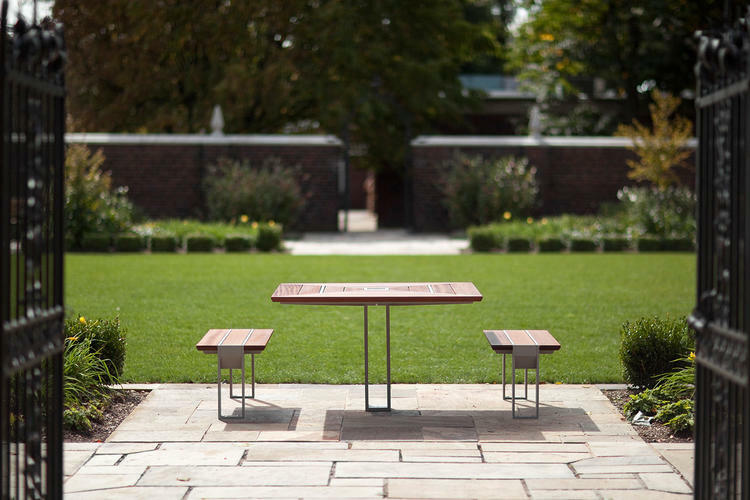 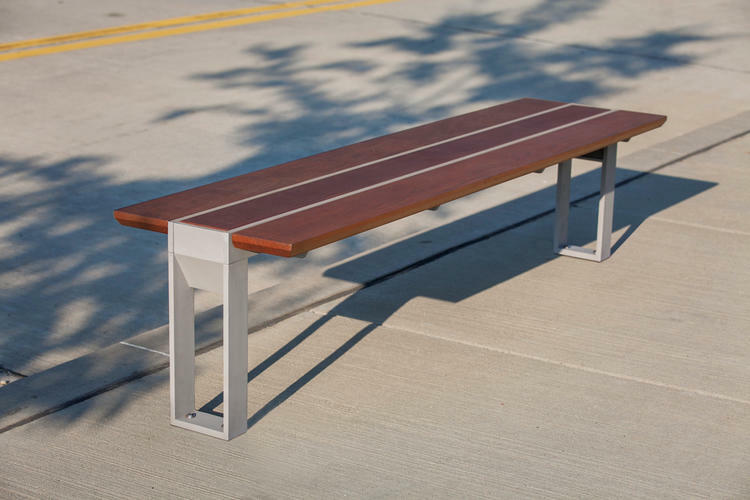 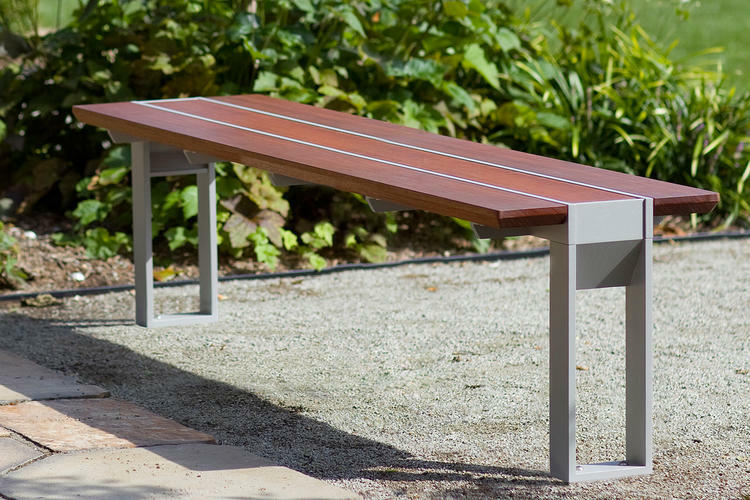 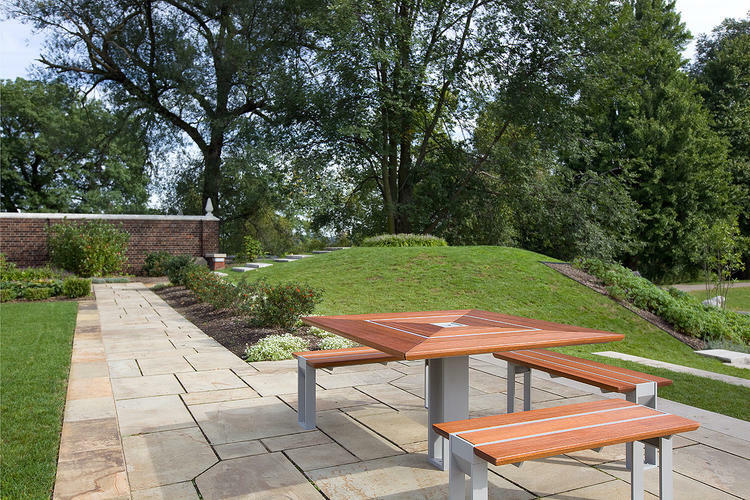 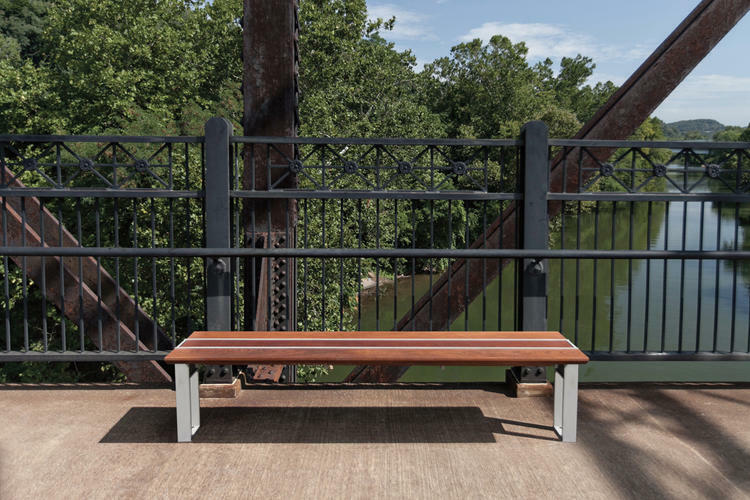 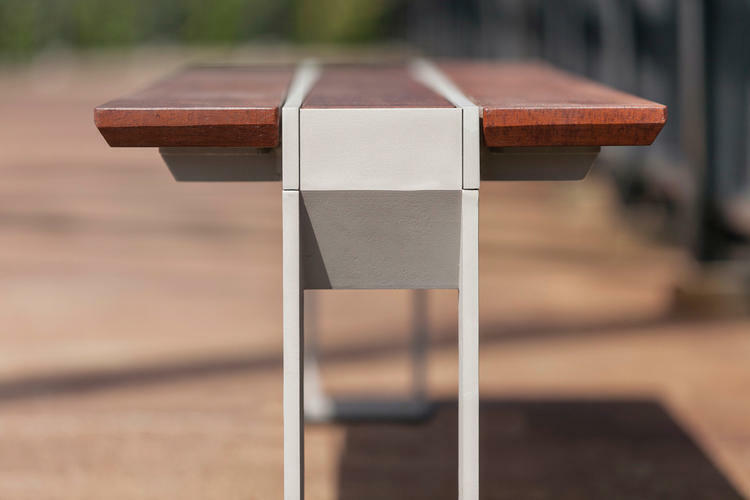 A table ensemble and backless bench provide versatile seating options. 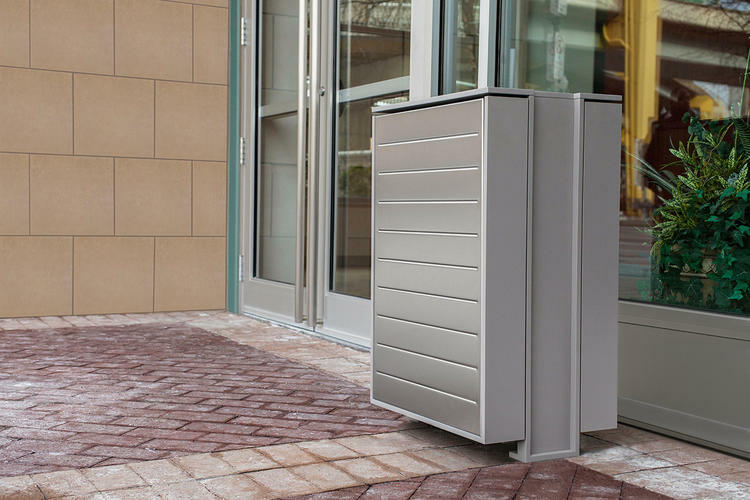 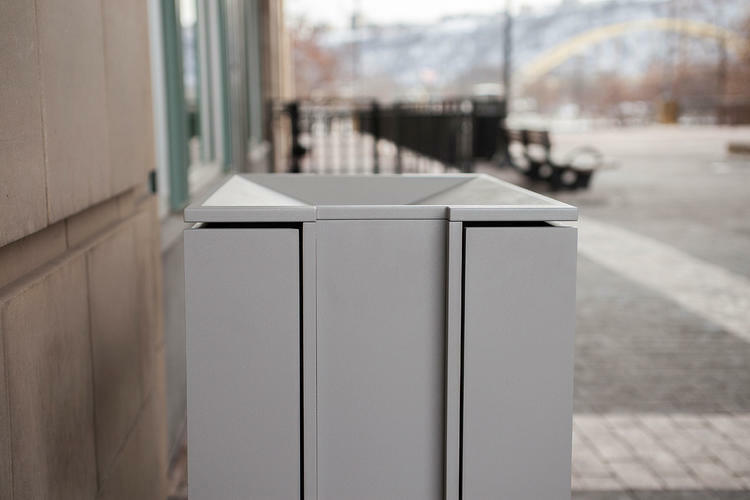 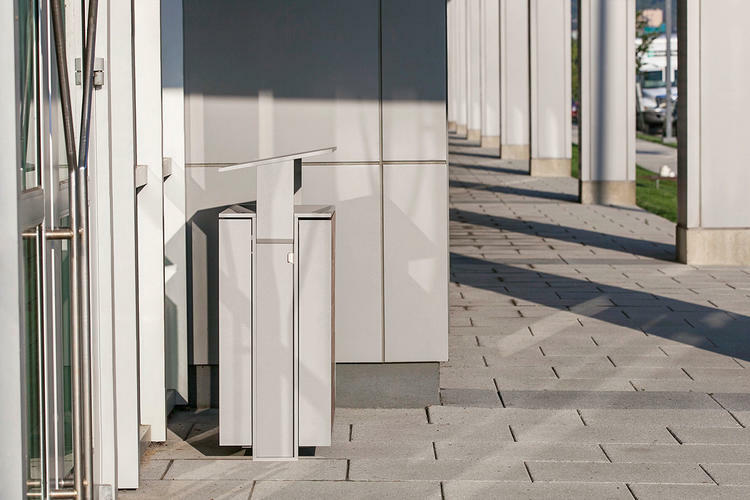 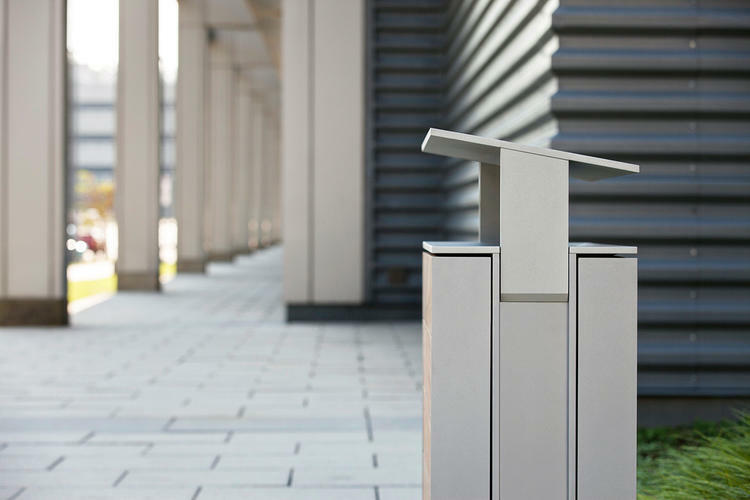 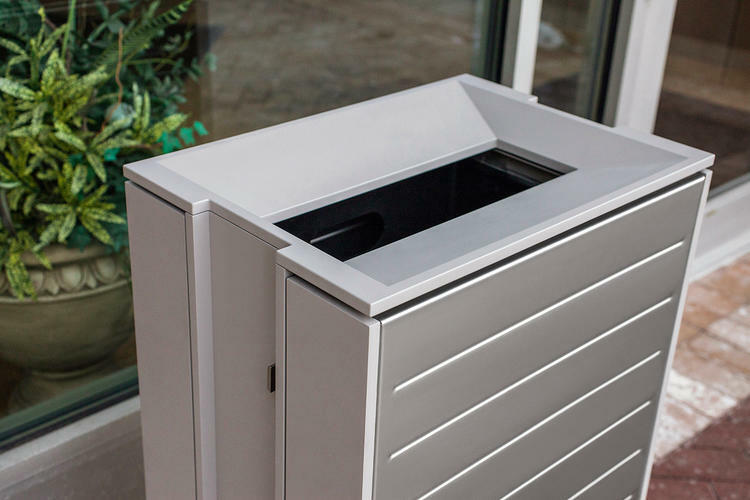 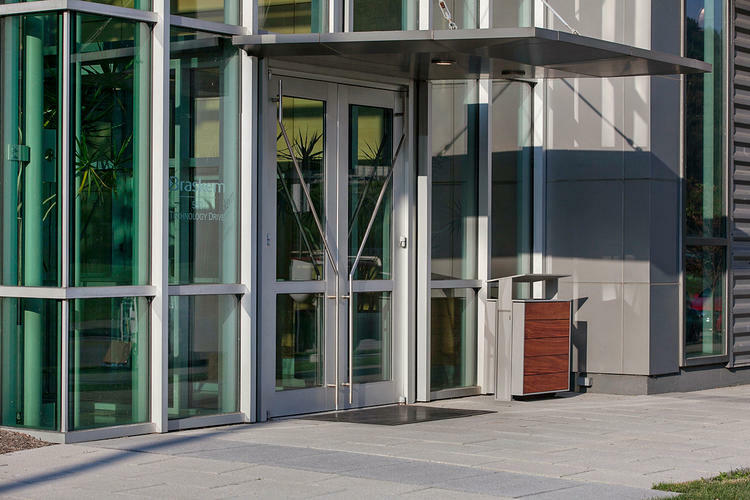 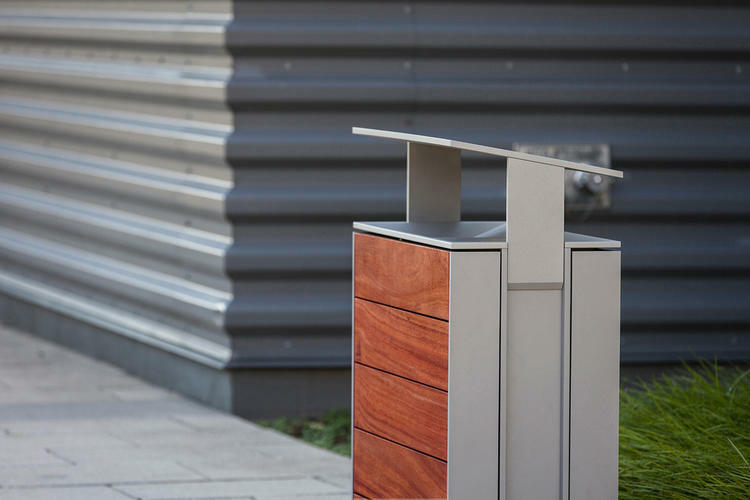 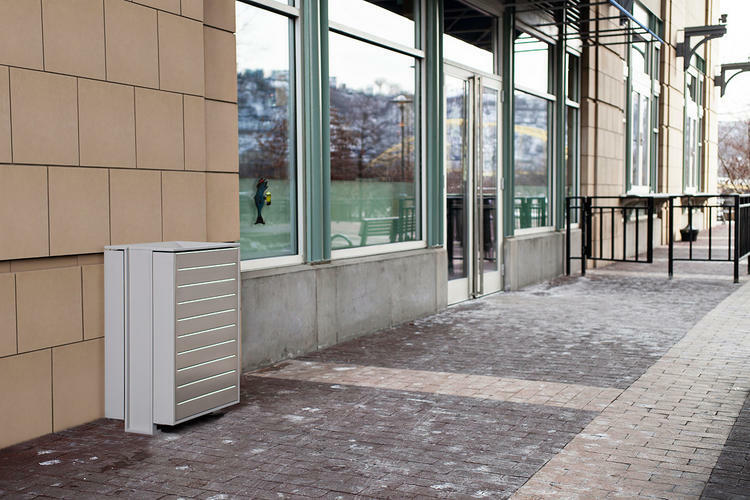 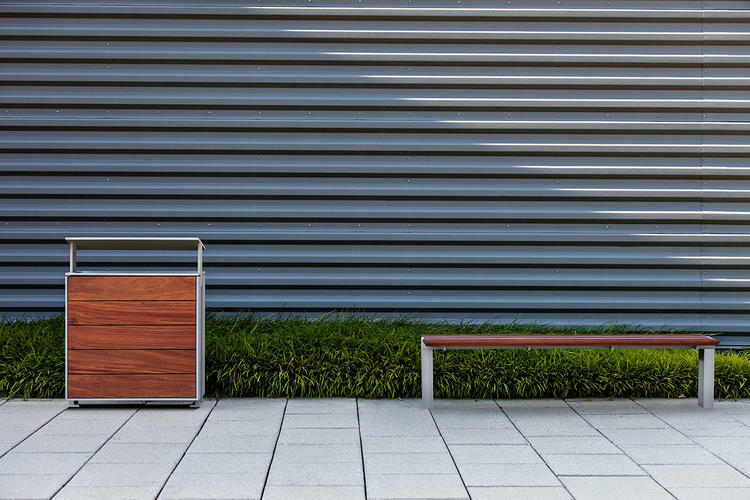 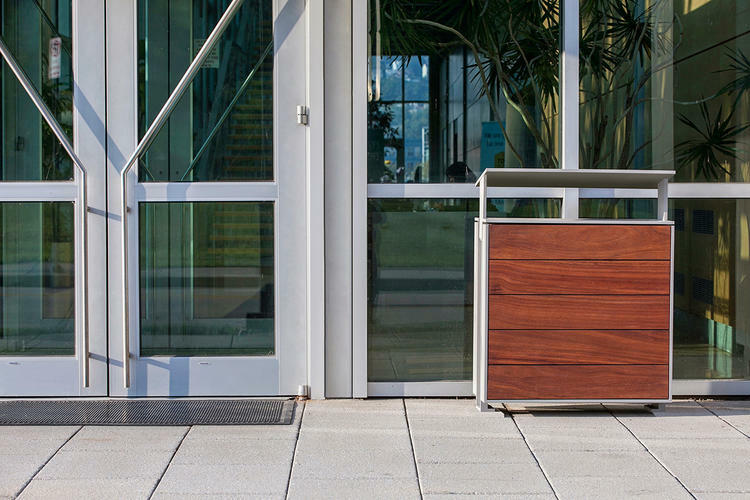 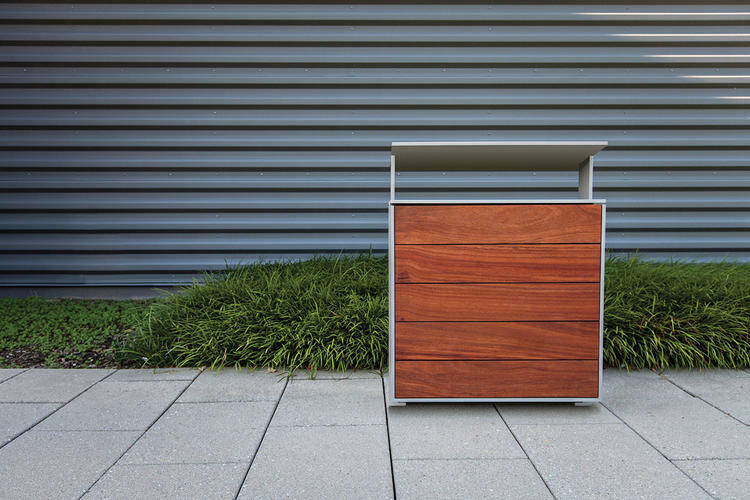 Litter & recycling receptacles clean up with wood or stainless insets and various waste stream configurations.